CLICK FOR MORE> Angels Aquatic Artwork ArtInspired Asian Backpiece BioMechanical Biker Birds BugsNSpiders Celtic Children Christian Comic Book/Game Coverup Crosses Demons Dragons Elemental Faeries Fine Art Foliage Funny Girly Skulls Greek/Roman Grim Reapers Hearts Lettering Logo Mammals Military Movie/Celeb Music Mythical Native Nordic Other Cultures Portrait Repair Reptile Scars Skulls Sleeves Sports Traditional Trees Tribal Women <CATEGORIES! 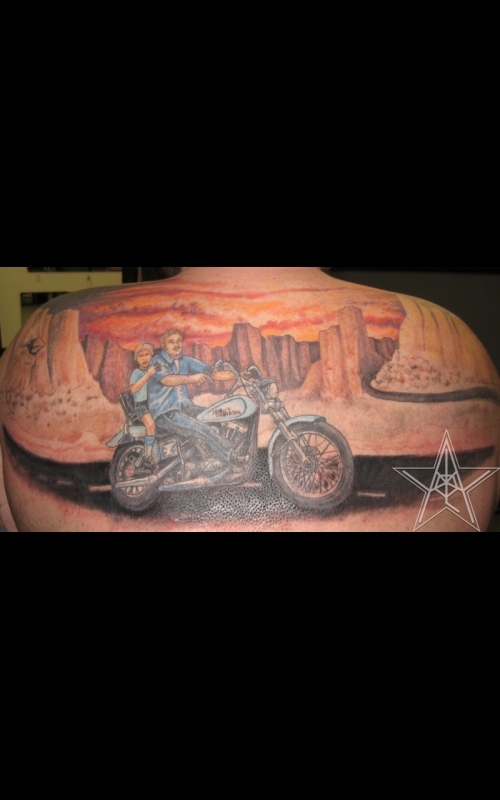 A Ride on the Other Side Memorial biker tattoo. 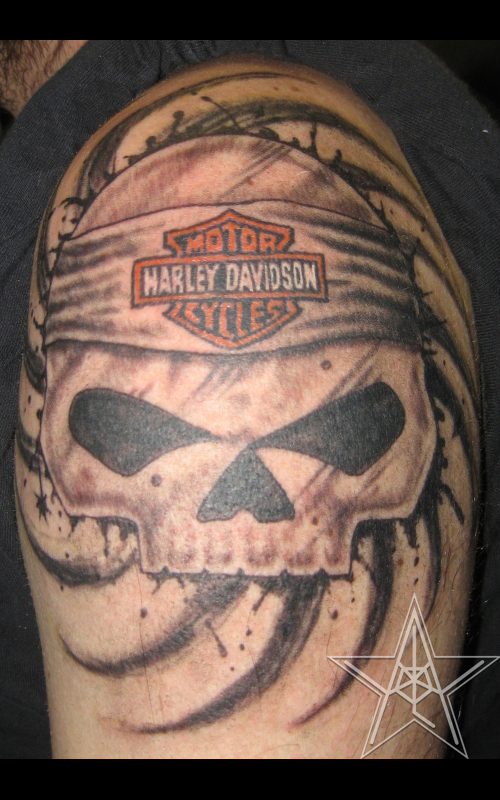 Harley Davidson Skull Skull logo tattoo. Live Fast Motorcycle pinup tattoo. 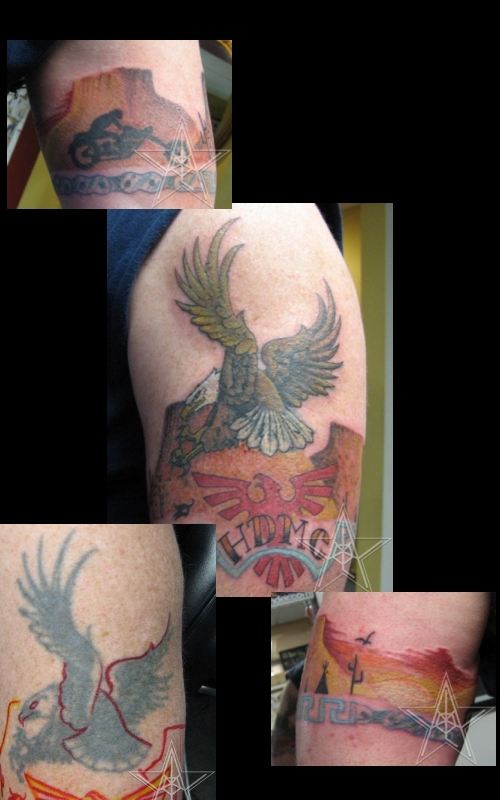 Desert Freedom Eagle in the desert biker tattoo. 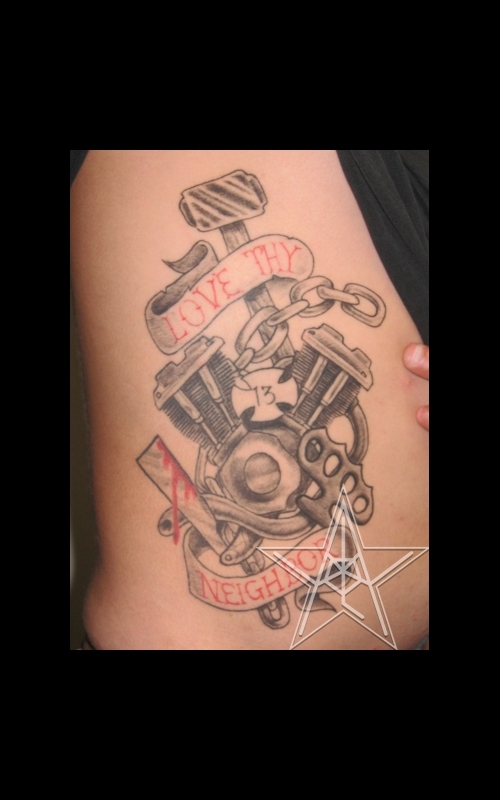 Love Thy Neighbor Motorcycle engine tattoo. 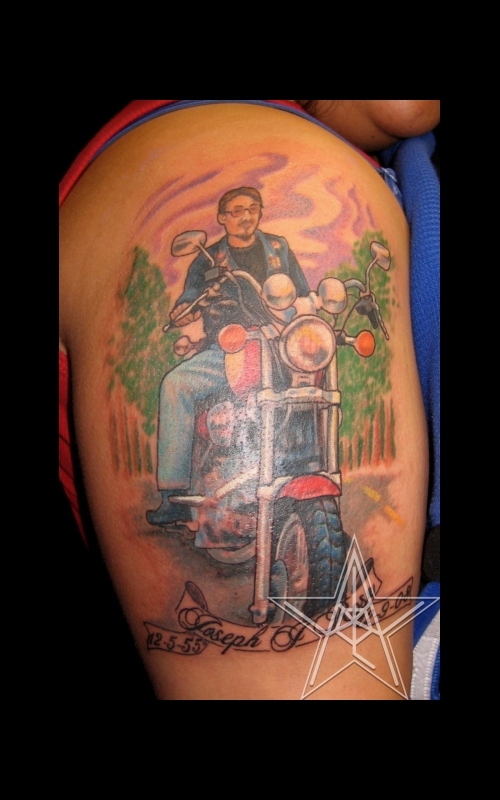 A Moment From the Past Full color portrait of a man on a motorcycle tattoo. 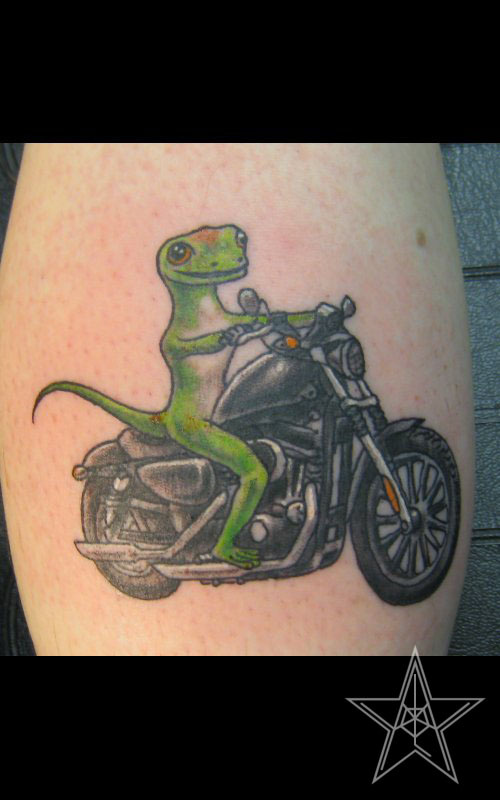 15 Minutes Geiko lizard on a motorcycle tattoo. 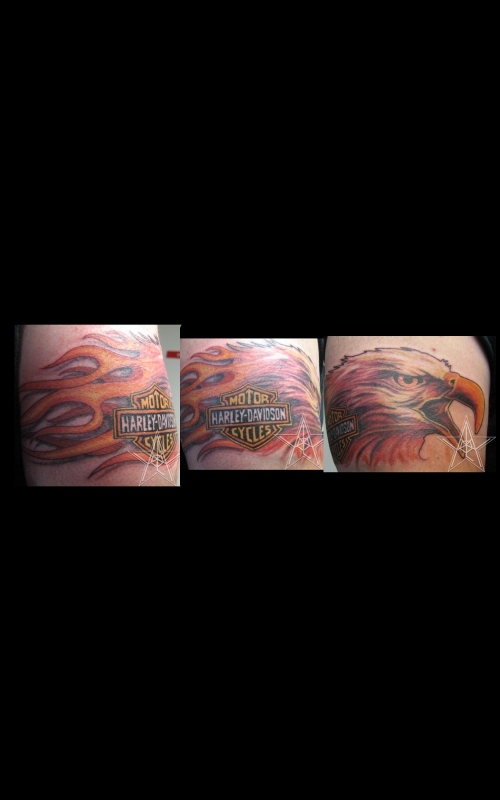 Screaming Eagle Harley Davidson logo with fiery eagle tattoo. Ms. Boop Betty Boop on a motorcycle tattoo. 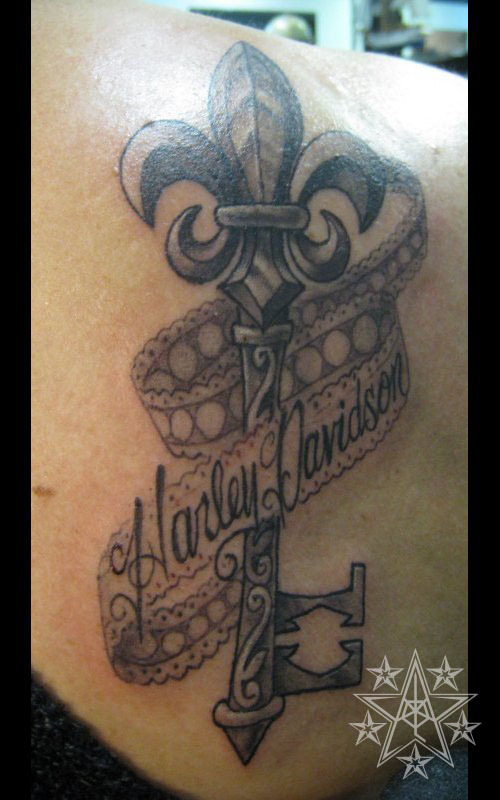 Fleur de Harley Fleur de Lis key with Harley Davidson lace tattoo. 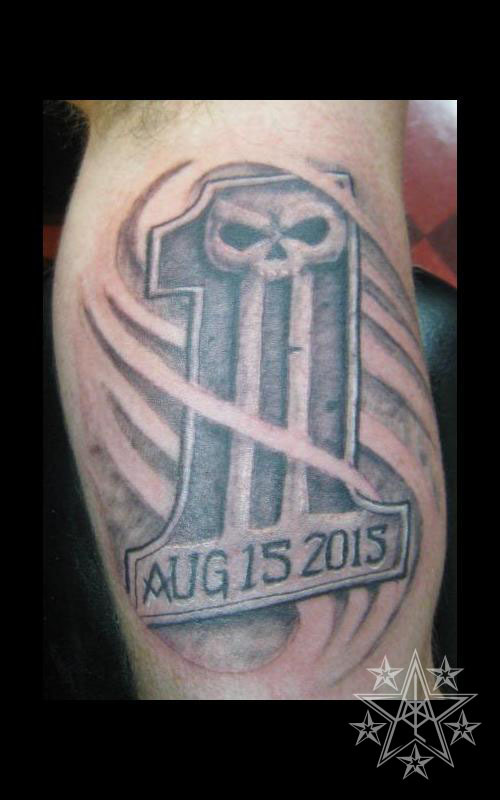 Willie G One Harley Davidson number one tattoo. Biker tattoos by Ray Reasoner Jr.
Biker Tattoos: Tattoos of motor parts, tough women, club emblems, bike logos, etc., etc. They generally represent freedom or rebellion in one way or another.